Stephanie Anderson is a writer working primarily in literary journalism, narrative nonfiction, and literary fiction. Her debut nonfiction book, One Size Fits None: A Farm Girl's Search for the Promise of Regenerative Agriculture, will be released in January 2019 with University of Nebraska Press. Stephanie's essays and short stories have appeared in The Rumpus, The Pinch, Hotel Amerika, Midwestern Gothic, The Chronicle Review, Sweet, and many others. She also contributed to the essay collection Permanent Vacation: Eighteen Writers on Work and Life in Our National Parks, Vol. 2 from Bona Fide Books (2018). Her essay "Greyhound" won the 2016 Payton James Freeman Essay Prize from The Rumpus, Drake University, and the Freeman family. Her short story "The Wickedest Thing They Ever Saw" was a finalist for the 2014 Devil's Lake Annual Driftless Prize in Fiction. 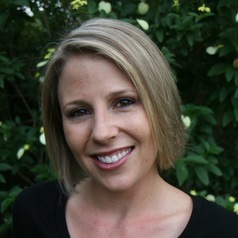 Her essay "Winter" won the 2013 Aisling Award in Nonfiction from Coastlines.